The 2017 Postseason of the NFL is finally upon us. The teams playing this weekend will take their first critical step towards Super Bowl LII. The past 17 weeks have earned each of these teams the right to play this month, while other teams will, unfortunately, need to clean out their lockers. In the playoff's this year are a handful of familiar faces, but it mostly consists of new contenders. The Chiefs, Falcons, Steelers, and Patriots are the only four teams that are returning to the postseason after they appeared last year. On the other hand, the Saints, Jaguars, Bills, and Rams are the teams that are now in the playoffs who finished with losing records last season. This is sure to be a dramatic and exciting postseason, starting with these eight teams as they face off this weekend in the Wild Card round. We at Grizzly Gaming decided to take an in-depth look at the most entertaining three matchups this weekend and did the required legwork and research to offer you valuable insight on the outcomes on each of these incredible games. This will surely provide the necessary edge to walk away with a winning bet on the football sports betting action for week 18. Six NFL teams clashed for the final three playoff positions in Week 17 of the NFL, forcing most in the league to focus all their attention on the scoreboards. The NFL managed to pack the late afternoon portion of the weekend schedule with every game that featured playoff implications. In the NFC, the focus was on the Falcons and the Seahawks, whose results determined the NFC's first wild-card position. The Atlanta Falcons simply had to defeat the Carolina Panthers, and that's what they did to claim their playoff berth. In the AFC, the Tennessee Titans managed to defeat the Jacksonville Jaguars to claim the number 5 playoff seed. The final playoff seed was an unforeseen upset where the Buffalo Bills managed to end their 17-year playoff drought after beating the Miami Dolphins, along with the Bengals winning against the Ravens, to seal the deal. The Kansas City Chiefs and the Tennessee Titans will meet at the Arrowhead Stadium on Saturday for their NFC Wild Card matchup. The Titans have managed to split their last eight games and will look for their very first playoff win since 2003. The Titans have lost 5 of the last seven games on the road. Marcus Mariota has completed 62% of his passes for 13 interceptions and 15 touchdowns on 3,232 yards. Mariota boasts with one or less TD passes in 7 of his last eight games. Delanie Walker, together with Rishard Matthews, has 7 touchdowns and 1,602 receiving yards, while Eric Decker has a total of 54 receptions. Titans' ground game is averaging 114.6 yards per contest, and Derick Henry leads with 744 yards and 5 touchdowns. Titans' defense is allowing 328 yards and 22.3 points per game. Kevin Byard has 8 interceptions, Derrick Morgan has 7.5 sacks, and Wesley Woodyard has 124 tackles for the Tennessee Titans. The Kansas City Chiefs are heading into this matchup on an amazing four-game winning streak and will look to make the playoff round for three consecutive seasons. The Chiefs have won 4 of their last five games at home. Alex Smith has completed 67.5% of his passes for 5 interceptions and 26 touchdowns on 4,042 yards. Smith has one or less TD passes in 5 of his last eight games. Travis Kelce, together with Kareem Hunt, has 15 touchdowns and 2,221 receiving yards, while Albert Wilson has a total of 42 receptions. Kansas' ground game is averaging 118.9 yards per contest, and Kareem Hunt leads with 1,327 yards and 8 touchdowns. Kansas' defense is allowing 365.1 yards and 21.2 points per game. Marcus Peters has 5 interceptions, Justin Houston has 9.5 sacks, and Daniel Sorensen has 89 tackles for the Kansas City Chiefs. The Titans in the last 28 road games are 8-20 Against the Spread, in the last 5 Saturday games are 0-5 Against the Spread, and in the last 6 overall games are 5-1 Against the Spread. The Chiefs in the last five home games are 4-1 Against the Spread, in the last nine playoff games are 1-8 Against the Spread, and in the last four overall games are 4-0 Against the Spread. The Titans in the last six meetings in Kansas is 5-1 Against the Spread, the road team in the last eight meetings is at 7-1 Against the Spread, and the over in the last seven meetings is at 5-2 Against the Spread. The under in Chiefs last eight games overall are 6-2, and the under in Titans last eleven games in January are 8-3. Additional points during playoff matches are great to have, but a case can be made that the Titans are the worst in the entire playoff field. Tennessee experienced a lot of bad losses recently and are not considered a good team while playing on the road. The Chiefs experienced some difficulties during their season, but they managed to finish strong, have an excellent home crowd, and have playoff experience. You know what you are getting with Kansas City Chiefs, and the same cannot be said about the Tennessee Titans, an extremely young team with limited playoff experience. Should the Chiefs play at their full potential, they should beat the Titans by at least a touchdown on Saturday. The Jacksonville Jaguars and the Buffalo Bills will meet at the EverBank Field on Sunday for their AFC Wild Card matchup. The Bills will enter the game after winning 4 of their last six games and will look for the first playoff win since 1995. The Bills lost 4 or their last six road games. Tyrod Taylor has completed 62.6% of his passes for 4 interceptions and 14 touchdowns on 2,799 yards. Taylor has less than one touchdown passes in his last seven games. LeSean McCoy, together with Charles Clay, has 4 touchdowns and 1,006 receiving yards, while Deonte Thompson boasts with 27 receptions. The Bills ground game averages 126.1 yards per contest, and LeSean McCoy leads with 1,138 yards and 6 touchdowns. The Bills defense allows 355.1 yards and 22.4 points per contest. Jerry Hughes has 4 sacks, Micah Hyde has five interceptions, and Preston Brown has 144 tackles. 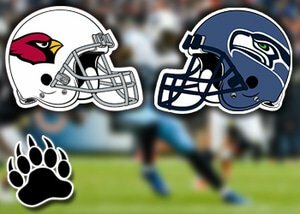 The Jacksonville Jaguars will head into this game splitting their last six games and will look for the first playoff win since 2007. The Jaguars won their last five games at home. Blake Bortles has completed 60.2% of his passes for 13 interceptions and 21 touchdowns on 3,687 yards. Bortles has more than 2 TD passes in 4 of his last five matches. Keelan Cole, together with Marqise Lee, has 6 touchdowns and 1,450 receiving yards, while Allen Hurns boasts with 39 receptions. The Jaguars ground game is on average 141.4 yards per game, and Leonard Fournette leads with 1,040 yards and 9 touchdowns. The Jaguars defense is allowing 286.1 yards and 16.8 points per contest. Calais Campbell has 14.5 sacks, Telvin Smith has 102 tackles, and A.J Bouye has 6 interceptions for the Jacksonville Jaguars. The Bills in the last five games at home are 4-1 Against the Spread, in the last nine games in January are 2-7 Against the Spread, and in the last four playoff games are 0-4 Against the Spread. The Jaguars in the last five home games are 4-1 Against the Spread, vs a team with a win record are 5-2 Against the Spread, and in the last eight versus AFC are 6-2 Against the Spread. The Bills in the last seven meetings in Jacksonville are 5-2 Against the Spread, while the underdog in the last seven meetings is at 5-2 Against the Spread, and the road team in the last seven meetings is at 5-2 Against the Spread. The over in Jaguars last fourteen home games is 10-4 and the under in Bills last five games is 4-1. It's extremely difficult to make a pick in this matchup until we know more on McCoy. Word around the campfire is that McCoy has a good chance of playing, but not at 100%. Even if he plays at 70%, it will still be a massive help for the Bills as he is the key to the Bills offense and to their passing game. A couple of big plays from McCoy can easily decide the matchup this weekend. The Jaguars have an elite defense that can lead to a decent playoff run. However, their offense is certainly not consistent to blow teams out the water, and the Buffalo defense can hold their own too, allowing a mere 16 points in 4 of the last 6 games. Therefore, we are going with the Bills in this game to win the match. The Atlanta Falcons and the Los Angeles Rams will meet at the Los Angeles Memorial Coliseum on Saturday evening for an NFC Wild Card matchup. The Atlanta Falcons will look for their second consecutive Super Bowl appearance but make no mistake, this will not be an easy task to achieve as they will need to win three road games to make it to the Super Bowl this year. Matt Ryan managed to throw 4 touchdown passes in his final five games in 2017, while Julio Jones accumulated 1,444 receiving yards on a total of 88 receptions. Jones has 80 receiving yards in 4 of his last five games. The Falcons have a decent opportunity to do some damage on the ground against Los Angeles who will give up yards. Tevin Coleman and Devonta Freeman are an exceptional duo where Freeman managed to accumulate 865 rushing yards and 7 rushing touchdowns. Atlanta's offense is ranked eighth in the passing game, where they average 22.1 points, placing them fifteenth in the NFL. Atlanta's defense experienced a strong season against both pass and run, and managed to hold the Panthers to only 248 yards in total. The Falcons are ranked 29th with 8 interceptions and 13th with 39 sacks. The Falcons are averaging 19.7 points per contest, placing them 8th in the NFL. The Rams are one of the most surprising NFL teams this season, managing to finish with a 12-4 record. Jared Goff threw two touchdown passes in his last 5 games to close the 2017 regular season. Goff collected 3,804 yards with 28 touchdowns and 7 interceptions. Todd Gurley is the Rams leading rusher with 1,305 passing yards along with 13 touchdowns. Cooper Kupp, the rookie receiver, had a fantastic season, accumulating 869 receiving yards and an average of 14 yards for every catch. The offense of the Rams can burn opponents on the ground as well as the air, and they are leading the entire NFL with 29.9 points per contest. The defense of the Rams also had an amazing season with Aaron Donald boasting with 11 sacks. The Los Angeles defense is averaging 20.6 points per contest, placing them twelfth in the NFL. The Falcons in the last 4 games are 4-0 Against the Spread after allowing 15 or less points in their previous game, in the last 5 games are 4-1 Against the Spread after accumulating over 350 total yards in the previous game, and in the last 6 games are 6-0 Against the Spread after accumulating less than 90 rushing yards in the previous game. The Rams in the last five home games versus a team with a win record on the road are 1-4 Against the Spread, in the last 5 playoff games are 1-4 Against the Spread, and in the last 15 home games are 4-10-1 Against the Spread. We are taking the points with the Atlanta Falcons in this matchup. This is almost the same offense team the Falcons took to the Super Bowl in 2016, and we expect the Falcons to give the Rams a good run for their money. Matt Ryan posted an incredible 9 touchdowns and 0 interception ratio in 3 playoff games, and we expect Julio Jones and Ryan to give a solid effort. Also, the Los Angeles Rams are sure to give up yards, as they are currently allowing 122 rushing yards per contest. Furthermore, the defense of the Falcons had a solid season, so they can certainly contain Gurley. On the other hand, the Rams have no experience in the playoffs and we expect the Falcons' experience to shine this weekend. The playoff brackets have been set and the glorious road to the Super Bowl gets underway this weekend. After 256 games stretching over 17 weeks, this weekend is sure to provide more mind-blowing NFL action on both Saturday and Sunday that could create more upsets to teams and bettors. To look at the four NFL games this weekend along with some of the best odds in the business, you can make your way to Sports Interaction featuring a wide range of betting markets. If you are interested in testing the waters of a new online sports betting site in Canada, you are more than welcome to read our in-depth review on Spin Palace Sports that also provide some competitive odds on all four games this weekend. With Super Bowl LII on the horizon as we head into the first weekend of NFL games in January, there will certainly be an increase in would-be bettors making their way to several online sportsbooks. To get the necessary edge on bookmakers this weekend, it will greatly benefit you to first spend some time on our informative sports betting in Canada articles that will guide you through every aspect of online sports betting, including football. Now that we have provided an in-depth look at the best games this weekend, make your way to one of the above-mentioned sportsbooks and place your winning bet.